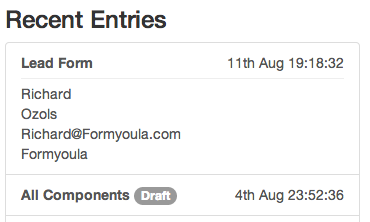 In this guide, we will explain how you can Add Form Entry List View on the Fields. If you have any questions, please email us support@formyoula.com. You can add additional information to the mobile form entry list view. These can be text, number, select and other element types. Adding Salesforce lookup fields will display additional record information that can be configured on the lookup element. Select the from you would like to edit on your dashboard. Click on the cog icon to select the fields that will be displayed on the mobile form entry list view. 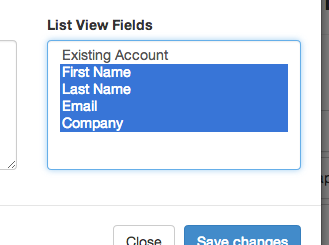 Select the fields that you want displayed. Click "Save Changes" and when finished editing the form click "Save & Close". Now on the mobile application form entry list you will see additional information from the from based on the selected fields.